Everybody knows back pain, other than common flu, it is the most common prominent health complication observed across the world. It has reached to younger generations in the recent past, and it’s no longer the illness associated with old age. Often combined with cramps, weakness or numbness, back pain only gets worse over the time. Back pain is caused due to a variety of reasons. Arthritis and Osteoporosis are the chief reason for back pain in older individuals but younger generations are increasingly affected due to stress, poor posture, obesity and deteriorated bones & muscles. Also, injuries, strain due to exercise and high blood toxicity may also cause back pain. And only prevention is the best therapy for back pain. Still, there are ways to cure back pain and improve flexibility, through Naturopathy treatments. 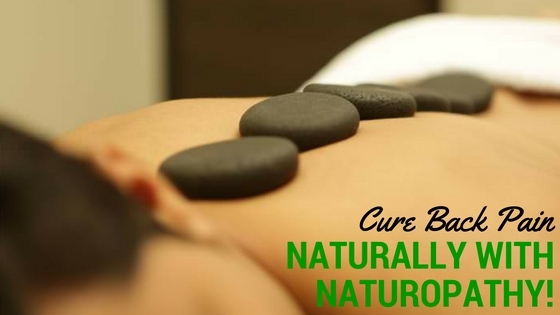 Naturopathy treatment for back pain doesn’t focus on the symptom but it heals the body as a whole. It affects all the internal physical processes and restores the physical, biochemical, psychological, and emotional balance naturally, by the application of herbs and natural remedies. Nourishment to the bones, muscles and joints should be optimum, having the balance of vitamins, minerals and proteins, to minimize their deterioration. 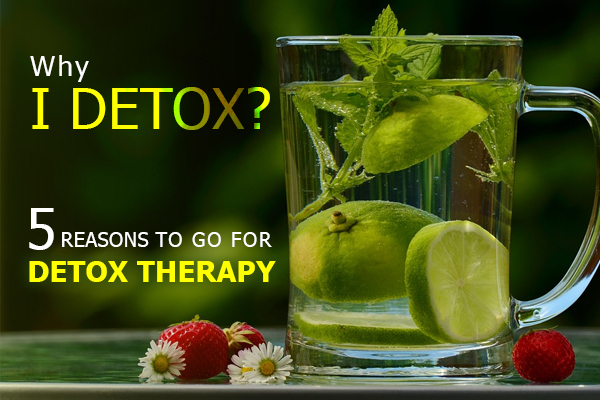 Naturopathy stresses upon an organic diet to encourage detoxification and reduce intake of refined foods and fatty substances. The spinal column supports the body weight, so maintaining ideal body posture is absolutely essential to avoid back pain. Daily Yoga helps in maintaining the posture throughout the day and also reduces the upper and lower back pain because of sedentary lifestyle. The patient with back pain should always maintain regular activity and exercise. The absence of activity deteriorates the situation and results in disability. Regular massage also helps in setting the muscles in correct posture and relieves stiffness. 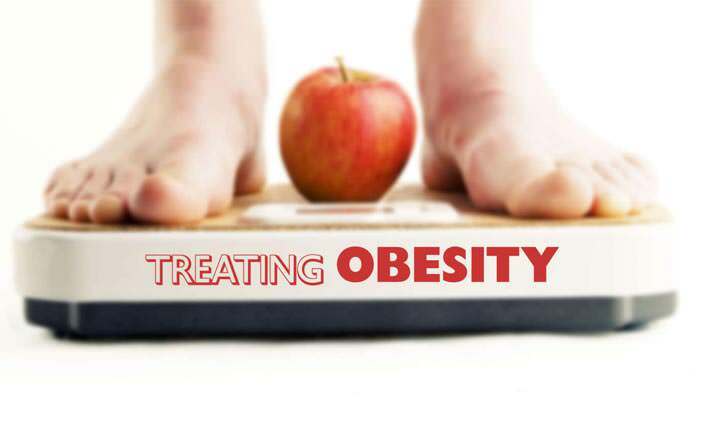 Low impact exercises, aquatic therapy, stretching are generally helpful if done under professional guidance but weight lifting and walking long distances should be avoided. Contrast Hydrotherapy is gaining popularity around the world for instant relief from back pain and inflammation. Hot water increases the blood flow and cold water decreases it. Alternating hot and cold water for a few seconds helps a lot in toning the muscles and relieving pain. Naturopathy treatment for back pain is not a course of drug treatment; it is an initiation of a healthy lifestyle. By changing the thoughts and behavior, Naturopathy aims to explore our body’s ability to heal itself and maintain health & wellness. Thereby it is eradicating the hidden cause of the problem. Any treatment or therapy exerts different reaction in different individual. Therefore it should be designed uniquely for everyone. Don’t just follow the advices randomly because it might worsen the pain, rather consult an expert and follow a well-designed approach of Naturopathy treatment for back pain. 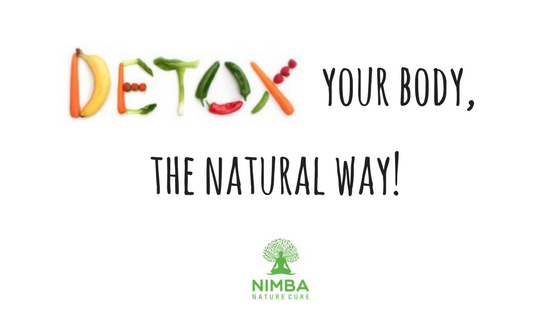 Get authentic advice and natural remedy, unique to your condition at Nimba Nature Cure Village, live life to the fullest. Oh my goodness! Incredible article dude! Thank you so much, However I am having difficulties with your RSS. I don't know the reason why I can't subscribe to it. Is there anybody else getting identical RSS issues? Anyone who knows the answer will you kindly respond? Thanx! !